The press has been wrestling with the horns of this dilemma. 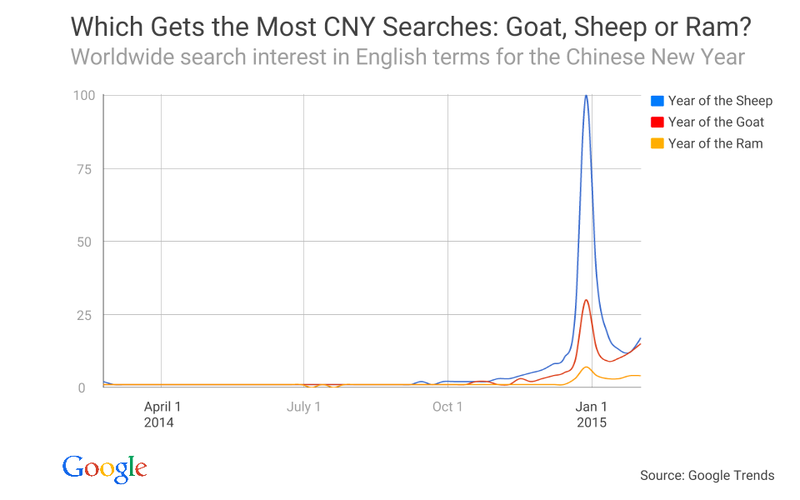 Some point to traditional Chinese herders’ rearing of goats to argue against sheep. On the other hand, celebrating the year of the sheep serves as a great excuse to buy absurdly cute merchandise. Maybe there's a regional-differences story here? 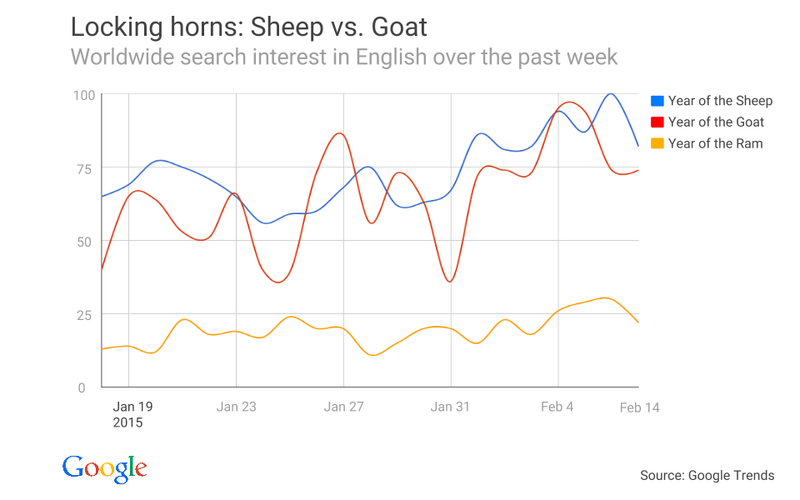 The Philippines had the highest search levels for “year of the sheep,” while the phrase “year of the ram” is used most commonly in India, followed by Canada and the U.S. “Year of the goat” was popular again in the Philippines, then Australia. 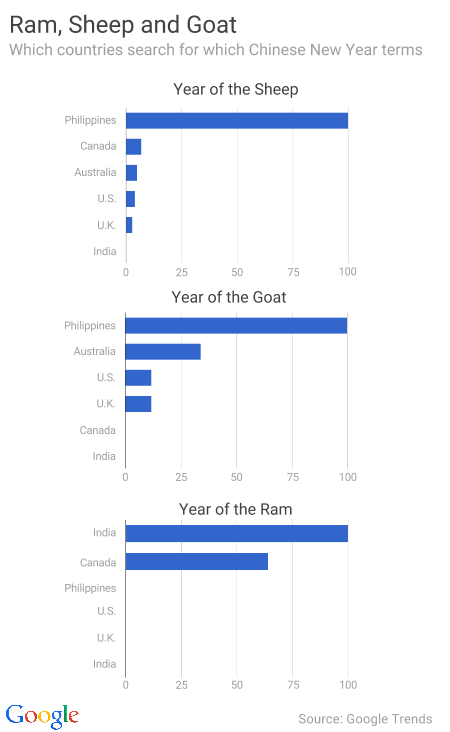 What is it about sheep/goats that the Philippines loves so much? 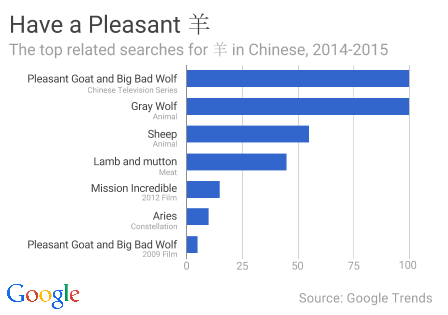 Is Pleasant a goat in sheep’s clothing? 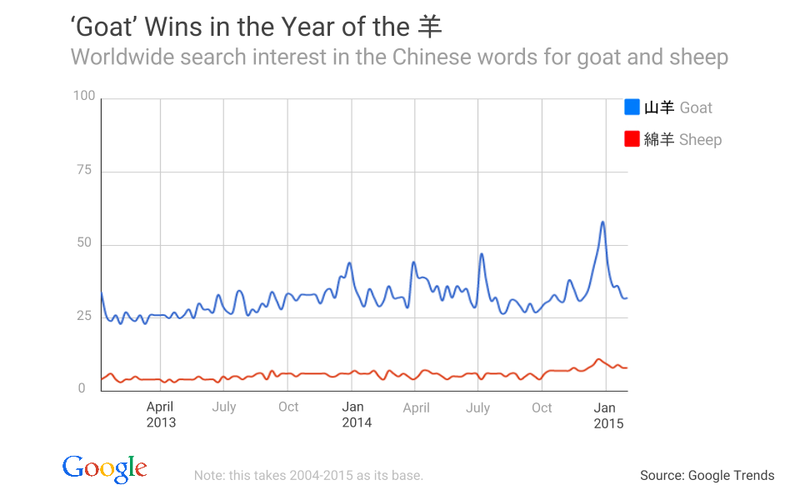 Does this ambiguity extend to the very definition of what a sheep or a goat is to Chinese speakers? At the end of the day, does it really matter? Baa. Thank you for a super interesting post! I was using Ram mostly coz it sounds cooler (i think), but obviously not the most popular choice. Great stuff.